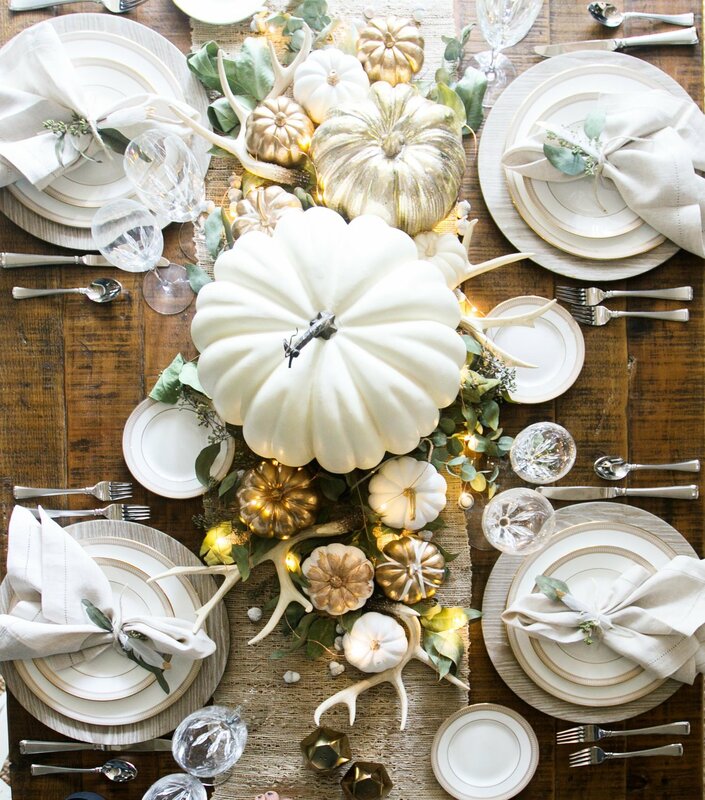 Now, it’s up to the host or the event stylist or caterer to “design the table,” too. These two concepts are extremely different with the former being more functional and the latter focusing on the artistic quality of every table and party. The fundamentals behind a great tablescape are simple to understand for they are all focused on making the guests feel more relaxed and creating stunning table centerpieces while they’re at it. A great-looking tablescape can transform a simple dinner into an event. It can make the guests feel more relaxed. It can make them feel more welcome. It can create a festive mood. What you need to understand about tablescapes is that its principles and fundamental apply on any scale and on any size. They apply from the grandest arenas down to the end tables of a very simple home meal. This includes your holiday dining table. There are many benefits to including a stunning centerpiece on your dining table. Creating beautiful tablescapes will set the stage for the most memorable evening ever. How do you feel about tablescapes in general? When you attended a wedding and the tablescapes are eye-droppingly gorgeous, don’t they make you want to take loads of photos for the ‘gram? These tablescapes will give your guests something to talk about—whether the centerpieces are artfully designed or whether the colors are of the exact shade with the rest of the motif or theme. During parties, the hardest thing to do is to entertain guests. But if there’s a gorgeous accent such as the tablescape in your venue that they can talk about, then that’s a great opening topic for everyone. Remember that when hosting a party, you’re not only being judged for the food you serve but also for how your party looks. There are a lot of things you can do with your tablescape. 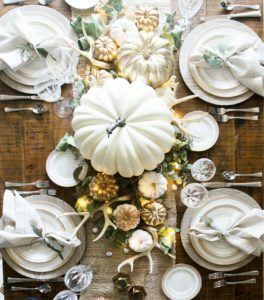 If you’re imagining the loaded tablescapes we see on Instagram these days, that’s not what you’re aiming for if you want to decorate your house for the Thanksgiving dinner. Sometimes, less is more and that is true with tablescapes. Depending on the season, you can design your tablescapes with what you already have in your pantry. For Thanksgiving, for example, you can create gorgeous flower arrangements made of orange and red flowers (the color of autumn). Besides these arrangements, you can put up mini pumpkins and strands of hay. We don’t think there’s anything more festive than that. Finish this look with the right candelabra and candles and you’re off to a great night. Remember that choosing candles for your tablescapes should depend also on the theme of your party. Just a simple candle arrangement can change the whole look of the party. All of these elements will work together to create a festive and celebratory mood for everyone to enjoy.